I cannot come to terms with the reality of this year approaching its end. It seems as though time speeds up as the year draws to a close. With that being said, this colour of the month is well suited as summer has arrived and us Durbanite’s, are tackling the heat and humidity. Orange is known to be the colour that encourages individuals to consume food, therefore, I would use it in a contemporary setting in a restaurant or deli. Orange gives off just as much brightness as the colour red and therefore works well in a corporate environment. It is eye catching and can be seen easily from a distance. When you decorate with orange try to incorporate navy blue with it as they are complementary colours and together, will create a striking and bold arrangement. Have a peak at some superb pictures I came across demonstrating the colour orange in different ways. Images courtesy of: Pinterest, Plascon, Pinterest, Pinterest, A touch of luxe blog, Pinterest, Pinterest , Live your style blogspot, pintrest, pintrest, HGTV, Homedepot and Tuttifioridesigns. I often find motivation and inspiration by peering into the lives of other like-minded creatives. With our studio renovations nearly finished and all the smaller details being finalised and installed, I thought I would share Freunde Von Freunden’s write up of an interior architecture firm and their amazing studio space in Kitzbühel, just outside Munich, Austria. Quoted items and translations courtesy of Martina Hemm and Katharina Finke from Freunde Von Freunden website. I hope everyone is having a good week thus far. Ché and myself have been frantic – we are not just working on our clients projects but our own studio/office. I thought that for this weeks post I would share with you “a behind the scenes” at Portfolio. Last week Wednesday we officially moved into our new studio after we have been waiting anxiously for all the wet work to be completed. We are thrilled to have a bigger space to design. Even though the office is miles away from being complete we have slowly but surely started to decorate. Our wallpaper in currently being installed and our vision of the space is slowly coming to life. Here are some pictures of the renovations thus far. Yesterday I went on a little research day to find out more information about vinyl and laminate flooring. I was overwhelmed when faced with the dilemma of which one to choose when it came to installing flooring in a clients house. I thought I would write up a little “DID YOU KNOW” in order to help you decide which would be more suitable for your needs and spaces. 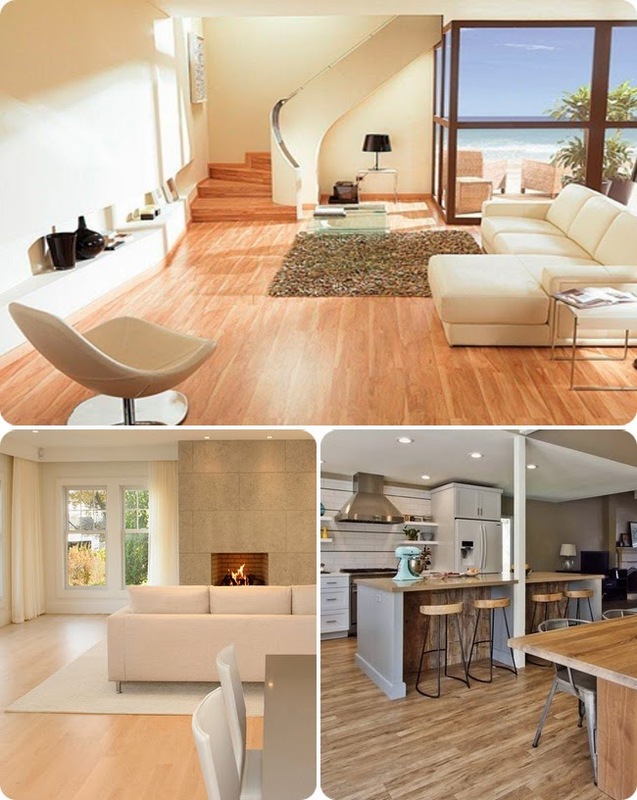 Vinyl and laminate flooring are suitable to use in both residential or commercial projects, however, both do have pros and cons. 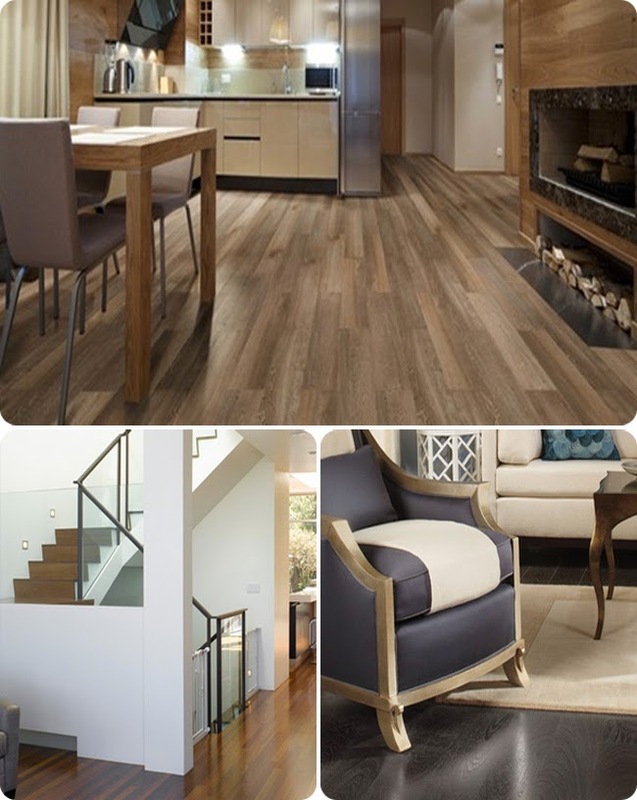 Both laminate and vinyl are great options to sue for flooring. Each product is practical and gives warmth to a room unlike tiles or concrete screened flooring, however, depends on the look and feel one is wanting to achieve. There is a wide selection to choose from and I am sure you will easily be able to find a wood to suit your home and style. A special thanks to Top Carpets and Kelvin for all his help with providing information.